Frugal Mom and Wife: Free 3 Issues of Good Housekeeping! Free 3 Issues of Good Housekeeping! 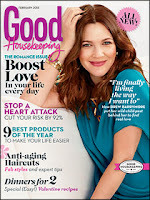 get a 3 issues trial of Good Housekeeping Magazine. No Bill! No Hassle! No Charge! you will get a "Thank You".